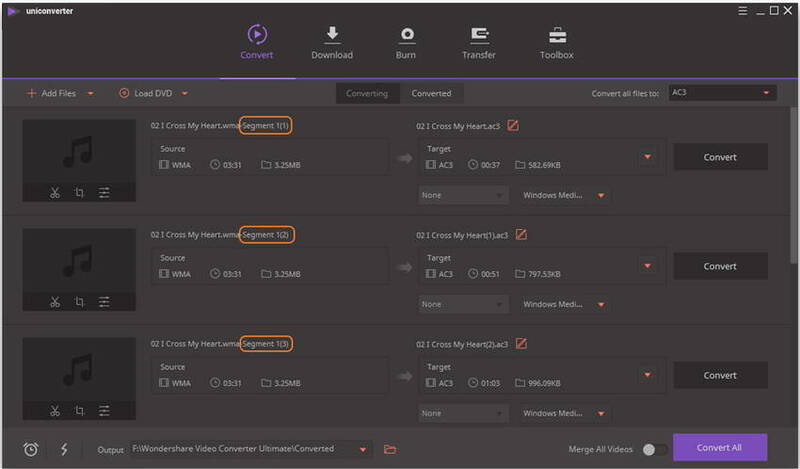 Edit, enhance & personalize your audio/video files via trim, crop and more. This article mainly focuses on how to split WMA audio files with high precise and without any audio quality loss. There are few WMA cutters available on the Internet for the purpose of this article. In order to cut WMA files better, I strongly recommend Wondershare WMA Cutter, which allows you to accurately extract your selected segments of an WMA file to a new one. 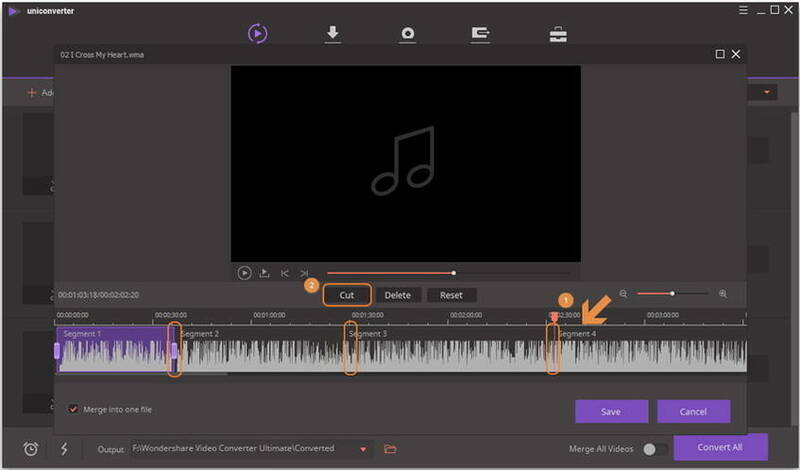 So you can use this easy-to-use WMA cutter to trim audio files to the exact length you want, split a big file into several small-sized files at a time, or directly cut off you unwanted audio clips. Enhance your video files by triming, cropping, applying effect, adding watermark, etc. The tutorial below shows you the detailed steps about how to use this WMA cutter program. Check it out. Launch WMA cutter program after the installation, then click the Add Files button to load your local WMA files to the WMA trimmer. You can also directly drag and drop the WMA files into the program window. Click the trim icon under the just imported video clip to get a separate trim window. Drag the side lay to the place you want to trim and click Cut to confirm. The video will to be divided into several segments (here take 5 segments for example) correspondingly as the screenshot shows. Click Save to confirm above cuttings. Immediately, you'll see the trimmed video clips been added to the main interface of the WMA splitter (each one named with the segment number). For your unwanted video clips, just delete it. If you need to merge multiple video clips into one, just turn the console Merge All videos on at the bottom of the main interface. Before that, make sure the play order is right, or you need to drag the video segments to rearrange them. Aside from Wondershare UniConverter (originally Wondershare Video Converter Ultimate), there are also other WMA cutter programs available in the market. The following part will introduce the top 10 WMA cutter programs for you. Check it out. Winamp, more especially Winamp 5.6 version and above are designed to allow cutting of an extensive range of video and audio files. These include mp3s, mp4s, avi, and of course, WMA among others. 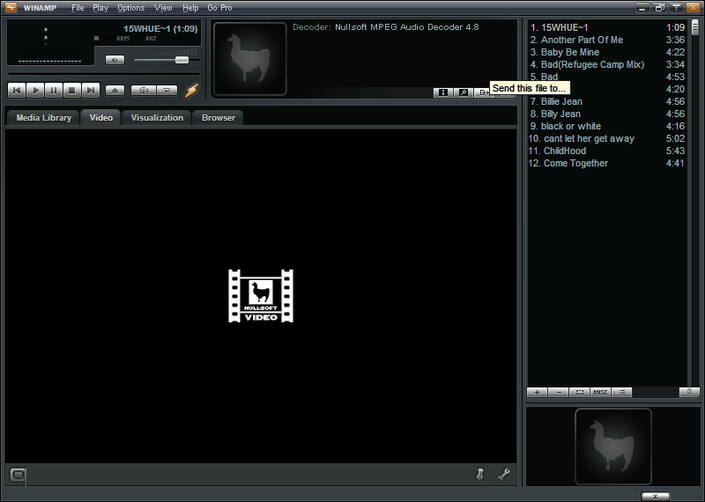 Winamp player is a really interesting video cutting as it also has multiple other functionalities. Additionally, it comes with multiple skin and visualization styles in addition to the fact that it is easy to personalize, set preferences, create playlists, save bookmarks, and history of activities. It also allows users to control playback, clean metadata using Auto-Tag feature and also to wirelessly sync media with Winamp Android app. FormatFactory is amongst the best conversion and video cutting tools in the market. The software is not only comprehensive but also supports multiple video and audio formats. Its interface is however a little complicated although with extra attention, even novices can easily use the tool. Other than video cutting, it offers extra features such as video joining, audio joining and mixing. Most importantly, FormatFactory is freeware. Additionally, it is important to pay attention to installation process or you may end up unconsciously changing the default search engine. Like FormatFactory, ImgBurn is free, easy-to-use, and powerful software for video cutting and editing although it is primary used for writing image files and write files to discs, and vice-versa. The software allows user to easily accomplish multiple task, WMA cutting included. Advanced users can also change the tool’s advanced settings. Moreover, the program supports multiple video formats other than WMA video format. Xilisoft Video Converter is one of the few easy to use WMA Cutters for Cutting Videos. It also facilitates conversion of the cut clips into usable formats. As a matter of fact, it supports more than 160 audio and video formats. The software has well defined features that are well arranged in an easy to use menu and hence it’s easy to for novices and experts to use them alike. Working with WMA video files in Xilisoft Video Converter is easy. One can simply clip video files using Clip function. This involves simply selecting the start and end points the clip the section you want cut. ConvertXtoDVD is video editing tool used in authoring and conversion. It offers the necessary functionality required to create own video files, irrespective of the desired format. 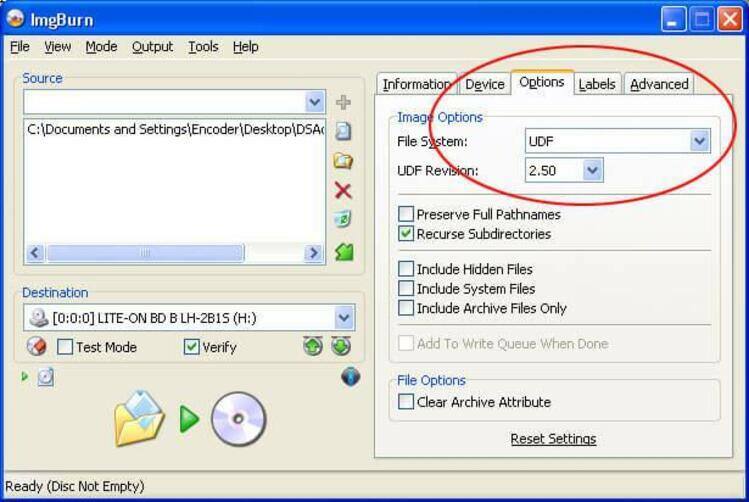 Its output files support all popular video codecs and containers including WMA. 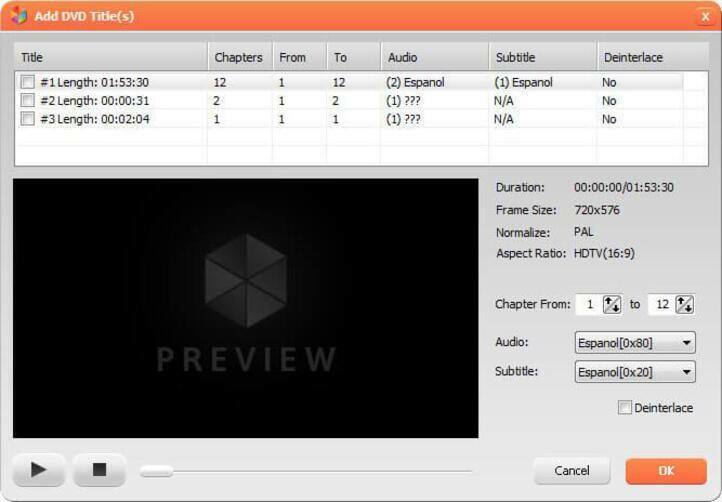 Users can further add subtitle files to the cut video files. Additionally, the cut WMA files can be edited for contrast and brightness. Also of importance is the fact that program’s interface is aesthetically appealing and easy to use. As a matter of fact, it is one of the most recommended software for WMA video cutting. 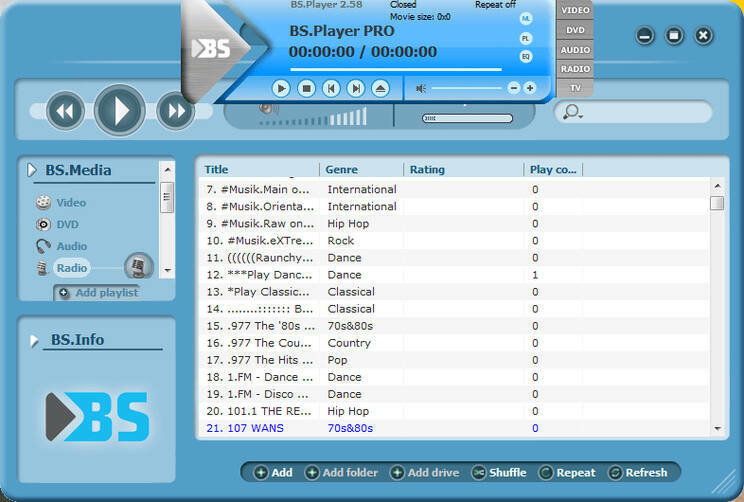 BSPlayer Pro is a leading WMA cutting tool that allows users to cut specific area then video files that they are interested in. 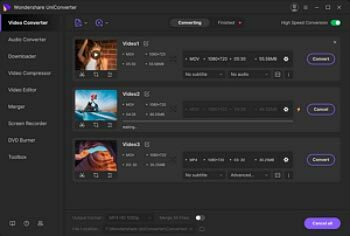 additionally, users can cut clips from different videos and use them to create a single hybrid video based on their choices. It also allows preview of the cut WMA files. Additionally, it allows users to capture the cut videos as they edit them. This smart converter offers you 2 different modes to convert your video files. You can choose to convert video files one by one or to convert multiple files simultaneously. Thanks to the integrated video player you are able to play the imported files directly from the program interface. An important advantage of this utility is that it offers you a large number of audio/video processing options such as: Video Encoder, Aspect Ratio, Frame Size and more. All these parameters let you edit your videos in order to increase their quality. Moreover, you can personalize them by adding watermarks. 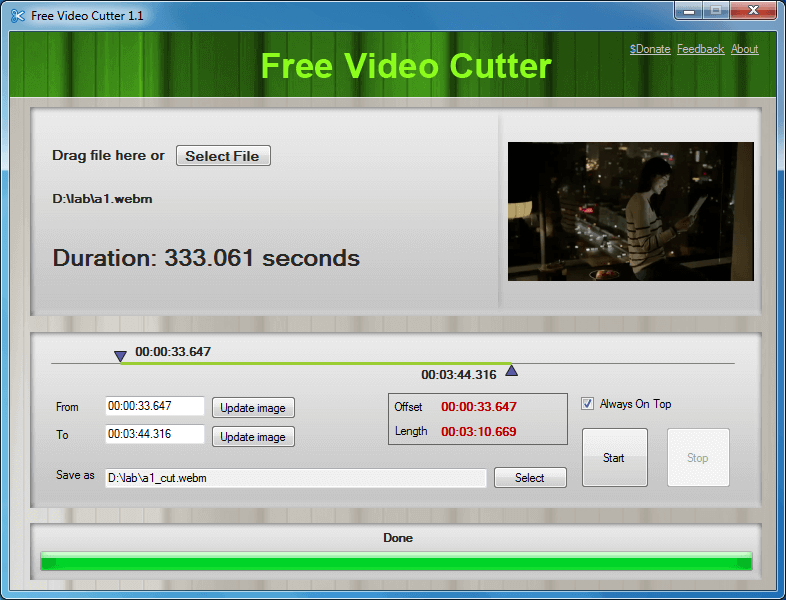 Free Video Cutter is handy tool in cutting of videos of different format, WMA formats included. 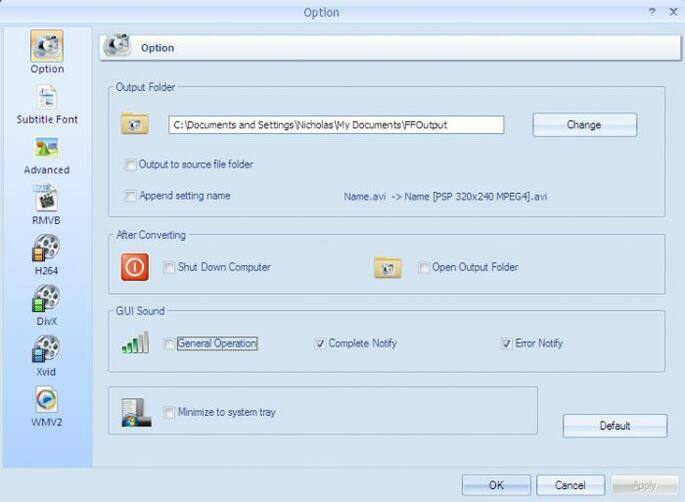 Users can extract part of WMA video files and save it in the same in the same or different formats. Notably, the program is easy to use. It has a single window for display that allows users to preview the cut videos as work progresses. Additionally, it accepts multiple formats which can then be converted to WMA cut clips. Boilsoft Video Splitter unlike other software discussed is primarily meant for splitting videos. The application is simple and not as sophisticated as other similar software. It however allows minimal setting and configurations. Among the file formats that it can cut is WMA video files. In essence, users can successfully extract video parts with easy and without the quality being compromised. VSDC Free Video Editor is top software in cutting of video clips, more especially WMA video files. Although starting to use the software can prove a little but futile, the software is generally easy to use and the output quality is not compromised when the movie clips are cut and saved. Additionally, this editing tool allows user to preview the vide parts as they are cut before being saved. This allows the user to monitor progress and hence make the best cuts. 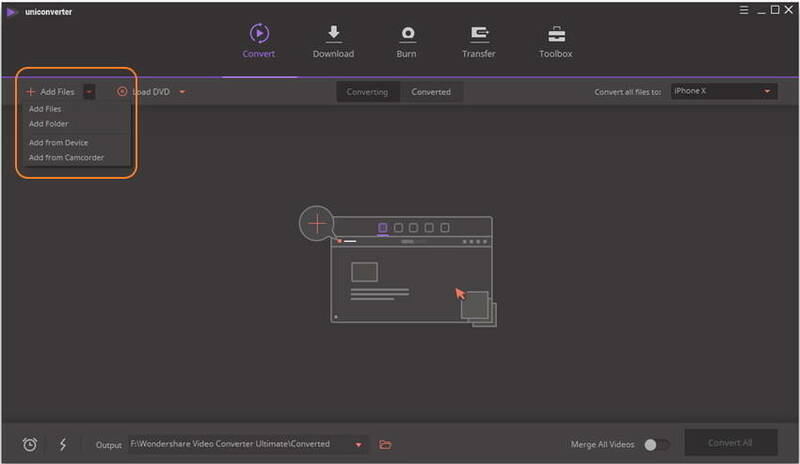 If all of them are not suitable for you, you can try Wondershare UniConverter (originally Wondershare Video Converter Ultimate), which can cut any formats with powerful and easy to use editing tools. Download free trial version via the download button above.